As part of his continued work in criminal justice reform, John Legend is calling on Louisiana to change its constitution. In an opinion piece published by the Washington Post Tuesday headlined "It's time for Louisiana to strip white supremacy from its constitution," the singer writes about the state's continued acceptance of non-unanimous jury decisions, which he calls "a 120-year-old measure put in place to suppress the rights of African Americans." "Louisiana is one of only two states -- the other is Oregon -- in which a person can be convicted of a felony and sent to prison without a unanimous vote of the jury," Legend wrote. They only need to persuade 10 of 12 jurors to send a defendant to prison, even for life." According to the star, the result is "a state justice system in which felony trials are held without the full participation of African Americans." "Here's why: During Louisiana's all-white constitutional convention in 1898, delegates passed a series of measures specifically designed to 'perpetuate the supremacy of the Anglo-Saxon race in Louisiana,'" the piece states. "Non-unanimous juries were one of those measures, and the intent was clear: If the federal Constitution required that African Americans be allowed to serve on juries, the state constitution would make sure that minority votes could be discounted." Agreed. Many of us as so called Blacks do not know that American laws were setup for us to be subjugated and placed into the prison industry complex. Simply: chattel slavery has not ended but became more insidious now entrapping over 2 million of us. Curses upon so called Blacks- obvious even to the blind. 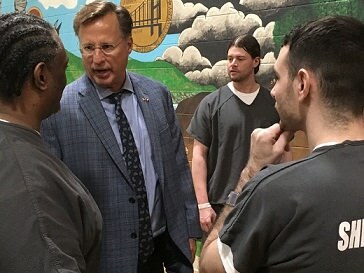 Brat tells prison inmates, "You think you're having a hard time -- I've got $5 million in negative ads"
(CNN) Virginia Republican Rep. Dave Brat drew parallels Wednesday between the campaign attack ads against him and the challenges faced by inmates at a Virginia prison, according to the Washington Post. "You think you're having a hard time -- I got $5 million worth of negative ads going at me," Brat told Chesterfield County Jail inmates Wednesday, The Post reported. "How do you think I'm feeling? Nothing's easy. For anybody. You think I'm a congressman. 'Oh, life's easy. This guy's off having steaks,'" Brat continued, in a recording published by The Post. "Baloney, I got a daughter, she's got to deal with that crap on TV every day. It's tough.' "
In a statement after the event, Brat called meeting with those struggling with addiction "one of the most moving experiences" he has a congressman. "As a Christian, we love the least of these -- we visit those in prison," Brat said in a press release. "As a Member of Congress, one of the most moving experiences I have in this job is talking with recovering men and women fighting to rebuilding [sic] their lives." 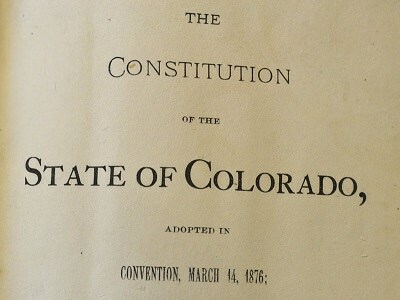 "Shall there be an amendment to the Colorado constitution that prohibits slavery and involuntary servitude as punishment for a crime and thereby prohibits slavery and involuntary servitude in all circumstances?" "Slavery prohibited. There shall never be in this state either slavery or involuntary servitude, except as a punishment for crime, whereof the party shall have been duly convicted." This was the second time Colorado voters have considered the issue. A similar measure was offered in 2016, but the language on that year's ballot was deemed too convoluted. Some voters said they weren't sure whether a "yes" or "no" vote meant they were for or against striking the exception clause. Critics of the amendment have also said it "could interfere with prison labor for things like fighting wildfires," as member station KUNC reported. The measure's backers say such programs wouldn't be affected because inmates voluntarily agree to take part. "Of course prisoners' lawsuits will invoke this measure to advance claims against our prisons." (CNN) - A former US Navy captain has pleaded guilty to criminal conflict of interest charges after it emerged that he had provided secret public relations services for a defense contractor at the heart of the so-called "Fat Leonard" bribery scandal. According to the US Department of Justice, the former officer, who retired with the rank of captain, received $65,000 from Leonard Francis -- the contractor who pleaded guilty in 2015 to bribery and fraud charges. Breslau provided "consultation services" to Francis' Singapore-based company, including ghostwriting emails to Navy personnel from Francis, providing talking points to to the defense contractor in advance of his meetings with Navy officials, and providing other advice. From March 2012 to September of the following year he "authored, reviewed or edited" dozens of documents, as well as writing at least 135 emails providing advice to Francis, and least 14 instances of providing talking points in advance of meetings that the contractor held with high-ranking Navy personnel. In addition he "'ghostwrote' numerous emails on Francis' behalf to be transmitted to US Navy personnel," according to prosecutors. 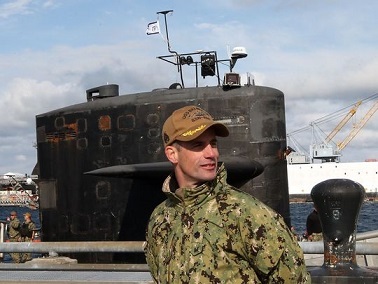 According to Breslau's plea agreement, his "willful illegal conduct" in providing consulting services to Francis and his Singapore-based ship husbanding company Glenn Defense Marine Asia (GDMA) "substantially disrupted the functions of the US Navy." In March 2017, acting US Attorney Alana Robinson described it as "fleecing and betrayal of the United States Navy in epic proportions, (which) was allegedly carried out by the Navy's highest-ranking officers." Since the investigation began, multiple Navy officials have been arrested and accused of accepting cash, prostitutes and all-expenses-paid trips in exchange for steering ships to ports where Francis' company operated, providing services such as fuel and tugboats. 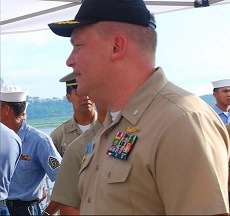 In June of last year, Michael Brooks, who served as the US naval attaché at the US Embassy in the Philippines from 2006 to 2008, was sentenced to 3.5 years in prison after admitting to using his influence to benefit Francis in exchange for "bribes of travel and entertainment expenses, hotel rooms and the services of prostitutes," the Justice Department said. The incident occurred in March 2018, while being ported in Subic Bay in the Philippines. The criminal investigation began in May. 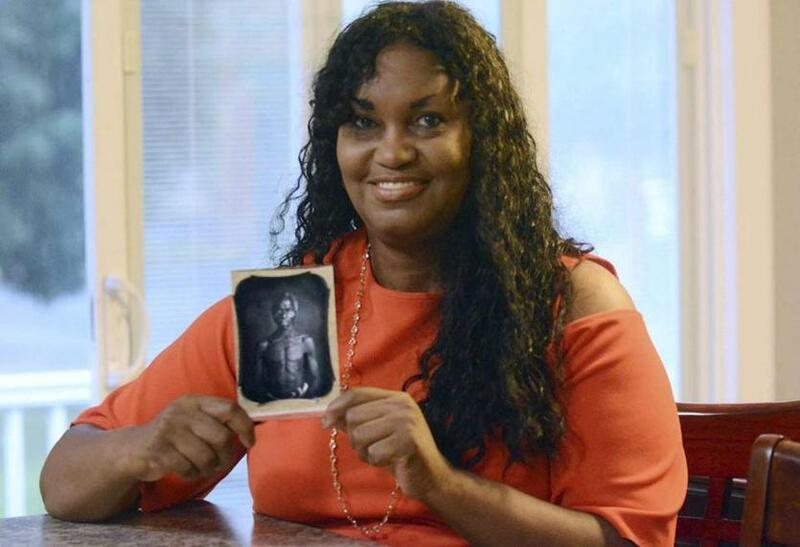 Tamara Lanier, a former chief probation officer in Norwich, said she has repeatedly asked Harvard since 2011 to stop using the daguerreotypes of a slave named Renty and his daughter, Delia. The photos were commissioned by a Harvard professor, Louis Agassiz, a biologist who used the images to bolster his argument of white superiority. In her lawsuit, filed in Middlesex Superior Court, Lanier requests that Harvard return the daguerreotypes and cease to license the images. Harvard officials could not immediately be reached for comment on Wednesday. In 1838, Jesuit priests sold nearly 300 slaves to save Georgetown University from financial disaster and to pay off its debt. The descendants of the slaves have demanded restitution. The images of Renty and his daughter were long forgotten until 1976, when they were discovered in a corner cabinet in the attic of Harvard’s Peabody Museum. A museum employee expressed concern for the families of the men and women depicted, but Harvard made no effort to locate descendants, the lawsuit alleges. In 2011, Lanier wrote to Drew Faust, then Harvard’s president, detailing her ancestry and ties to Renty and Delia. But Lanier said she was unsuccessful in getting the photos returned. Since then, Lanier said she has been gathering documentation of her ancestry and consulted with genealogical experts to validate her ties to Renty and Delia. According to her research and family lore, Lanier believes that Renty was her great-great-great grandfather. He was captured by slave merchants and sold to a plantation in South Carolina, she said. Renty taught himself to read and helped other slaves learn, Lanier said. He also held secret Bible readings and Bible study on the plantation, adding further insult to the use of his image to suggest black inferiority, Lanier said. “Papa Renty was a proud and kind man who, like so many enslaved men, women and children endured years of unimaginable horrors,” Lanier said. Agassiz was a Swiss-born scientist who came to Harvard in 1847 to teach zoology. But he did not believe that humans all belong to the same species. He commissioned 15 images of male and female slaves in the South shown from multiple angles to categorize and analyze racial differences. His theory and science was used to justify slavery and later segregation, and Harvard has yet to sufficiently refute his work, according to the lawsuit. “These images were taken under duress, ordered by a Harvard professor bent on proving the inferiority of African-Americans,” said Michael Koskoff, a lawyer for Lanier.